Bank Holiday Monday, early afternoon, chilling at home about to start work I got a message from Sara. She had been contacted by a researcher for the Victoria Derbyshire programme asking her to go on the next day. Sara wasn’t available and had been trying to find someone else. I agreed to speak with the researcher and we had a discussion about the programme. He said that Mencap had contacted them about a letter they were supporting the families of people who were abused at Winterbourne View to write to the government. They wanted this covered. Mencap hadn’t managed to provide the researcher with anyone with a learning disability. We took up the gauntlet, Sara and I skyped and spent the rest of the afternoon thinking of who could go on, making contact with people and trying to arrange someone. Just to point out this isn’t our job – none of this is our job. This was a Mencap orchestrated media opportunity. Why anyone needs support to write a letter is beyond me. They also failed to mention the letter was only signed by 4 of the 48 families of people who were at Winterbourne View. Anyhow, Mencap ‘the voice of learning disability’ were wanting their own media spokesperson on the programme, but not anyone with a learning disability. Eventually, having drawn a blank on anyone else I reluctantly agreed to go on the show, as a spokesperson for the JusticeforLB campaign. I went off to dinner with family, went to bed, got up the next morning and headed to the BBC Devon studios in Plymouth (again – not my job). You can watch it here, from 1hr36mins in. 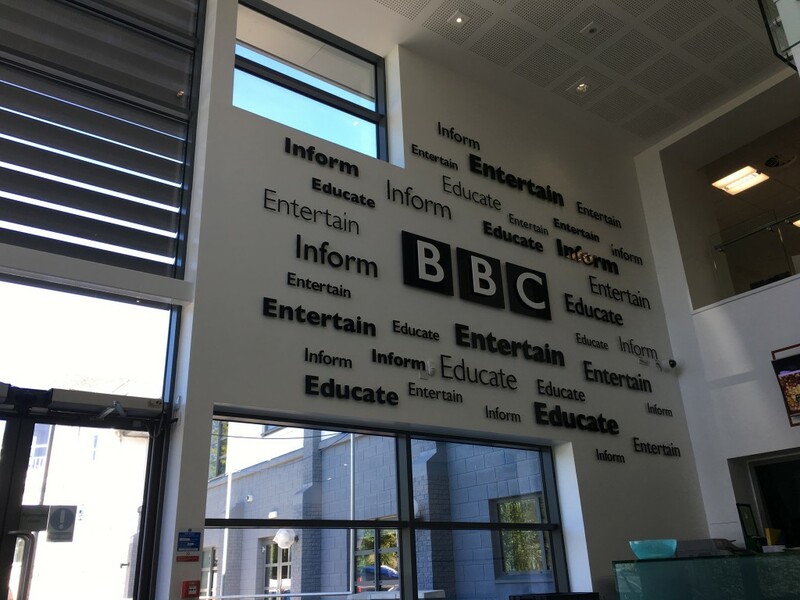 I’ve never done a live TV interview before, I’ve never been to BBC Devon studios before, I was a little nervous and a little uncomfortable that we’d not managed to find a learning disabled person, or one of their family members to speak. I got sat at at the newsdesk, had an earpiece and a microphone attached to me and waited. The interview happened about 20mins later than we’d been expecting, a lot of sitting and waiting. The way it works from a remote studio is you have someone in your ear, but you have no view of what is happening in the studio and are effectively just talking at a camera. I was asked by the producer before the piece started to have a conversation with Mencap. I had no advance notice of the questions and no prior preparation. Victoria Derbyshire introduces the slot, talks about all the promises that were made five years ago and asks why the promised changes have not happened? Dan Scorer, Head of Policy, Research and Public Affairs at Mencap (note – this is his job) answers her question and finishes by saying ‘plans are being made at the moment but families have been let down before, people with a learning disability have been let down before, this time we need to see things done differently and lessons learned from previous failure’. Victoria then brings Cath Dyer into the conversation, her daughter Claire was in an Assessment and Treatment Unit and has now been back with her family for 19 months. Cath makes the plea to listen to learning disabled people, hear their voices and reminds viewers that they’re all human beings. I took the opportunity to reiterate what CQC have found when inspecting Mencap’s services, to point out I didn’t think it was fair they were blaming ‘the government’ without sorting their own services out first. I pointed out that Mencap were one of 51 signatories to the Winterbourne View concordat, so they can’t keep talking about this like it’s someone else’s responsibility. I also raised the issue I was most concerned about the day before, that there was no-one with a learning disability on the show. Mencap had arranged this media opportunity, they had written the letter, they had decided to put a media spokesperson on the show, not a learning disabled person. Victoria asks Dan to respond, he says he agrees with me and that Mencap are bringing a group of families together to meet with NHS England later this week (tomorrow I believe). At this point, I interject [having been told at the start to do so, it was meant to be a conversation after all] and ask what Mencap have been doing for the last five years. Dan says that Mencap signed the concordat to hold the government and the NHS to account. That clearly hasn’t happened. Then Dan starts the ‘we all want the same thing’ narrative. Cath then chips in pointing out how hard it is for families with people in the ATUs and the difficulty for families having to fight against things. The segment ends. I left the studio and went to meet friends for the rest of the day, sporadically checking twitter, but didn’t get to watch the clip until yesterday evening. Most people were positive about my contribution. Mencap, oddly for them, didn’t share the programme on their social media streams, in fact for such an opportunity you’d barely have known it had happened. The negative reactions were very much in a minority (to my face at least) and have all followed a similar ilk – we need a united response, it was a missed opportunity, we should all work together for the same thing, it was ‘disgusting’ to criticise Mencap, government must have been relieved that I ‘went after’ Mencap. Mencap orchestrated yesterday’s media, they excluded learning disabled people from the debate. I introduced 5 pieces of evidence into the debate (Ely Hospital report, CIPOLD report, Mazars report, CQC reports, and LB’s inquest findings), Cath shared her family’s experience, Dan said the same thing as Mencap have said for the last five years – that now was the time for change. It sounds all too familiar: in 31 May 2012 they called for change; 30 October 2012 they called for ‘real change’; 19 July 2013 they called for change; 20 March 2014 they called for an urgent review, 2015 was taken up with Bubb and calling for urgent change. Why is there so much fear around alternative viewpoints? Why was Dan not able to provide one answer that showed what Mencap have done? Why are we still having the same conversations five years later? It actually makes me feel queasy thinking about how many learning disabled people have died, or had their lives changed immeasurably, in that time. Finally, if Mencap are so concerned about unity why has Jan Tregelles their CEO blocked JusticeforLB campaigners? Why did Mencap not come along to the LBBill meetings or contribute to our attempts to change the law? 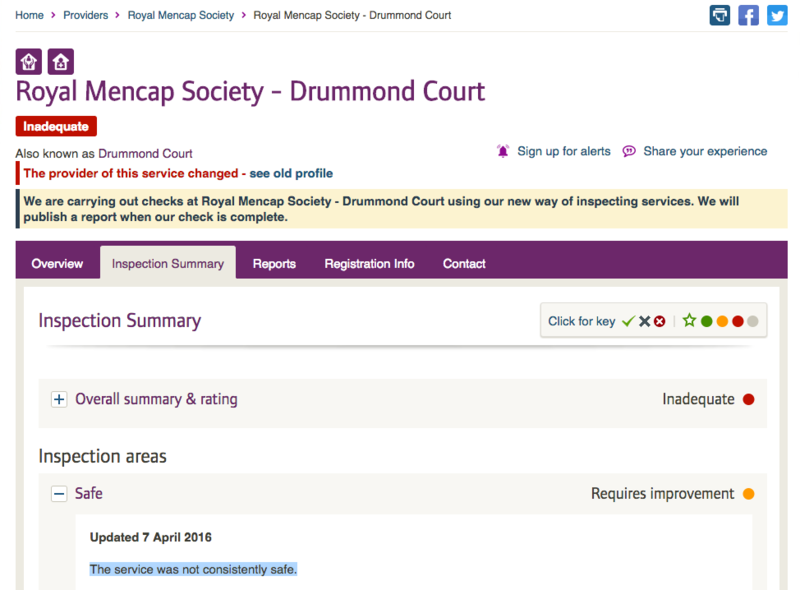 Why did Mencap barely bat an eyelid when the Mazars report was published? Vaporware is often announced months or years before its purported release, with development details lacking. Developers have been accused of intentionally promoting vaporware to keep customers from switching to competing products that offer more features. It’s worth a read of the wikipedia article, but from where I sit it’s exactly what the Winterbourne View concordat was, and exactly what Mencap seem to want everyone to collude together to produce, still. To coin a phrase of someone Mark Neary met at the chipper yesterday evening, the ‘illusion of support’. I am genuinely sorry if I offended anyone, or disgusted anyone. I’m sorry if my perspective made for a hard day’s work for Dan. I am not sorry for asking questions. I am not sorry for speaking up. I am not sorry for shining a spotlight on failings. I am not sorry for trying to widen the debate, and I’ll not stop doing so any time soon. Too much has been hidden for too long – hidden lives, hidden meetings, hidden abuses, hidden deaths. It’s time to be transparent, open and honest, even if that’s not easy. Oh and it’s time to give the power up – not long now until Learning Disability England launches. I look forward to seeing more learning disabled people on our TV screens, and less of Mencap, and less of me. This was a very interesting read and I’m glad I got to see the full debate on the show. Critical to bring in all that evidence, as you did. I would make a couple of comments. The lack of someone with a learning disability was particularly nauseous as this was a media opportunity set up by Mencap. It should not have happened without at least one voice. George, I think we’ve discussed before how I feel very strongly that it is incumbent on charities to present a progressive conversation, and given the lack of visible people with learning disabilities in our media culture, Mencap should be looking at every opportunity to push this, whatever the matter being discussed. I have a little more sympathy with the criticism of ‘bet the government are glad that you’re going after Mencap’ – not that I would put it in those terms. The problem is, since so much of the charitable sector is under fire, criticism of it can be so easily jumped on. Zoe Williams wrote one of my favourite pieces of journalism last year on this very issue: http://www.theguardian.com/commentisfree/2015/sep/27/rspca-countryside-alliance-progressives-tea-party. But to use that as a SOLE reason not to highlight and call to account failings in Mencap’s services doesn’t, in the end, stack up. It is their responsibility to provide safe and (one would hope) excellent provision, not yours to let them get away with it. Because all that happens is people with learning disabilities are failed, yet again.